Sorry for the delay in posting this morning. Life is busy; and as many of you know blogging takes a bit of time to prepare and upload etc. I am playing along with two Verve challenges today. The first is this month's Diva Dare Challenge "Terrific Trios" My two trios are the three die cut circles and the three gold brads. I'm also playing along with this week's Mojo Monday sketch, which is something I have not done in quite a long time. Mojo Monday does not require Verve Stamps to be used; but I always try to include some when I play along. 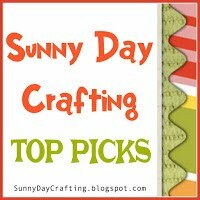 For this card I chose to use the Sunny Days set. 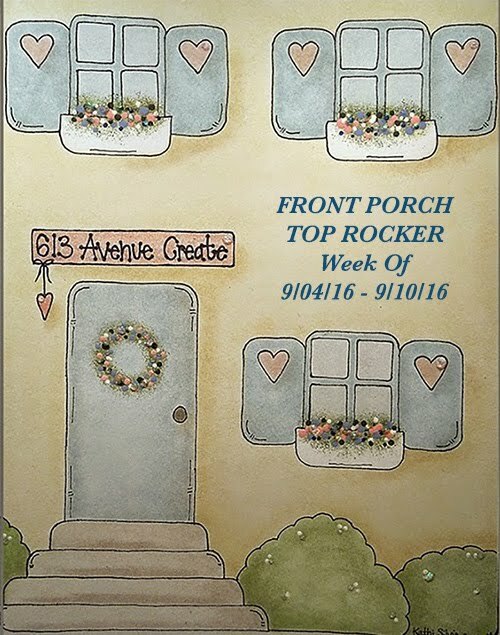 (All the links for the products I used can be found at the bottom of the post) I stamped the flower stamps and colored them in with copic markers before fussy cutting them and adhering them together. 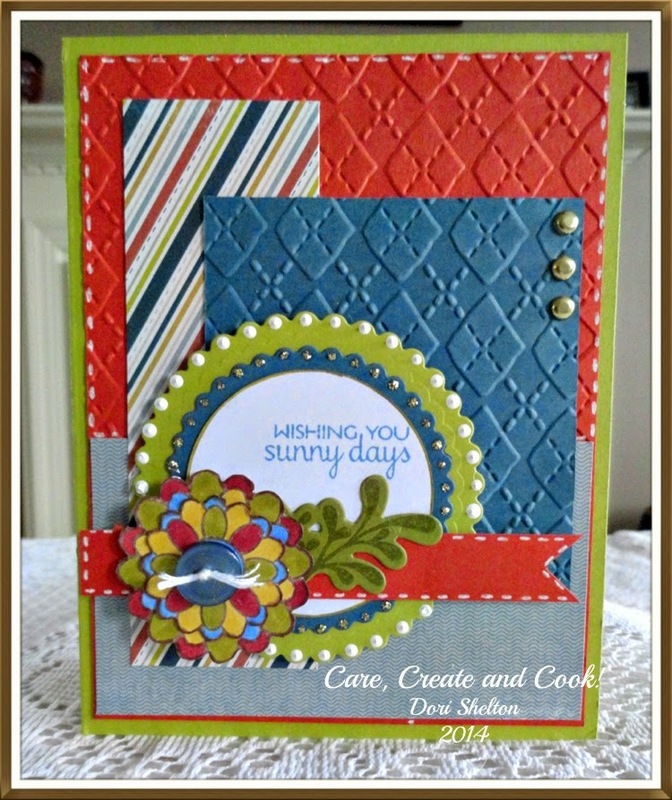 I added lots of textures with embossing folders and layers with foam adhesive. I felt the card was really busy with patterns and layers and papers etc, that I wanted to keep the sentiment simple. I added some Ranger Studio Paint in Blank Canvas and gold stickles around the outer edges of the scalloped circles to add some sparkle and bling. Finally, I added some faux white stitching lines and a small blue button with a piece of white embroidery floss. That wraps it up for me today! Enjoy your afternoon and I'll see you again soon! Love that EF you used and fun multi coloured flower. Thanks for joining us for this month's Diva Dare. Simply beautiful! Love the layering, the colors, the textures and the basic arrangement of your elements. Great job! Gorgeous embossed design, beautifully crafted card, thanks for joining us at Robyn's Fetish challenges this week. Beautiful card .Love the design and colour combination . what a great embossing! the stitching is beautiful too, very regular. lovee the pearls you added on the circles. I love the sketch and your cards fun. Thanks so much for joining us at the PND challenge!! Hope to see you again for our next challenge! This is so fun! Love those colorful blooms! Great card and I love the colors! 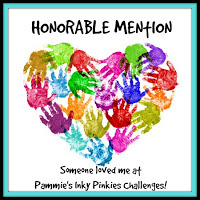 Thanks for sharing it with us on The Paper Nest Dolls Challenge Blog! Good luck!